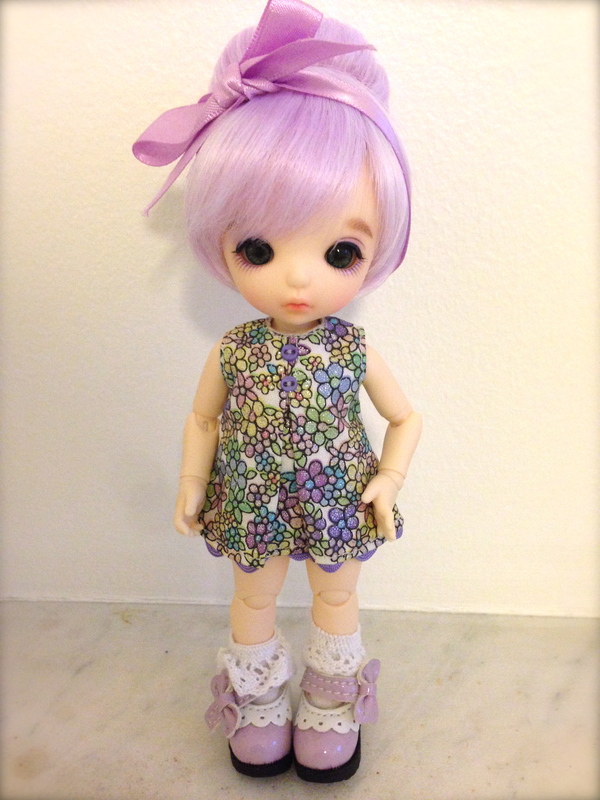 after about a four month wait, my Pukifee Icis full set arrived from DDE, and she is so wide-eyed and adorable! 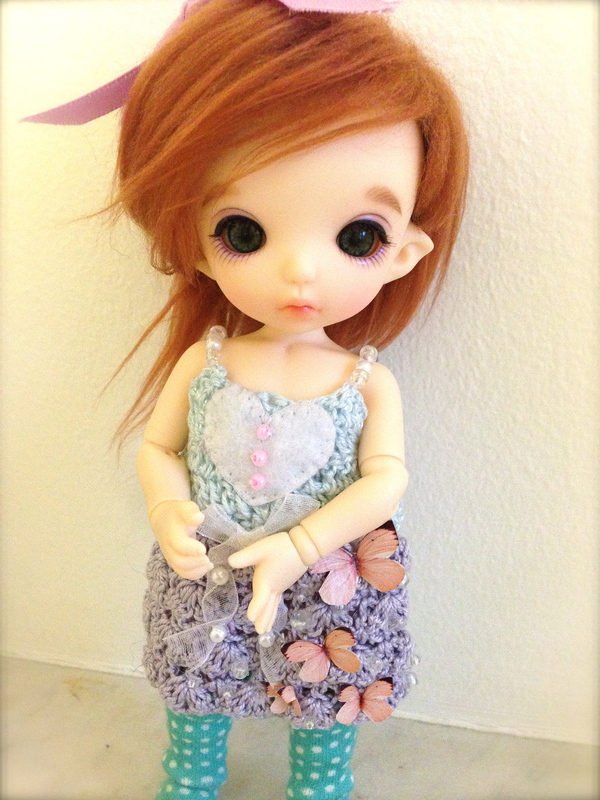 of all the issues, i’m most disappointed with the wig not fitting, because i wanted to use it on her, and it is one of the main reasons that i upgraded to the full set doll. 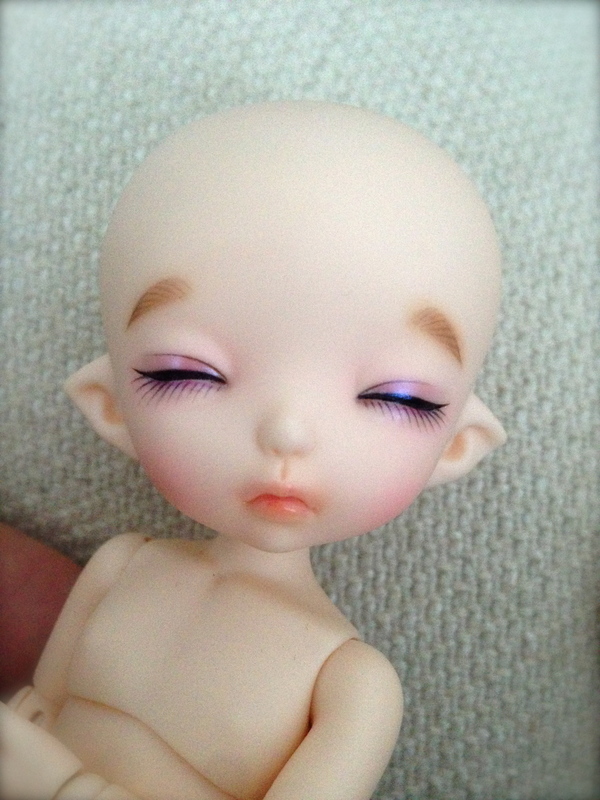 i think i’ll try putting it on a doll using my blank NF event faceplate that i received a few months ago, and hopefully i can figure out how it fits and/or stretch it a bit. I absolutely see why you’re disappointed in the fullset being such a failure (at least hair and sock wise). 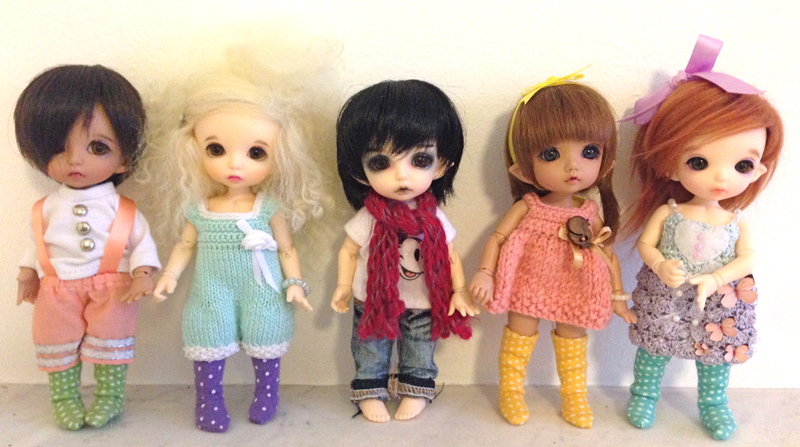 When you buy a fullset doll, you sort of expect everything to…I dunno, actually fit on the doll?! I’d absolutely try poking DDE and make them contact Fairyland.